Frances McQueenie, (nee Laikowski), 84, passed away on Sunday, February 3, 2019 at home in New Providence, NJ. The funeral will be from the Thiele-Reid Family Funeral Home, 585 Belgrove Drive, Kearny, NJ on Thursday, February 7, 2019 at 9:00 a.m. a Funeral Mass will be offered in St. Cecilia Church, Kearny at 10:00 a.m. Cremation will be private. 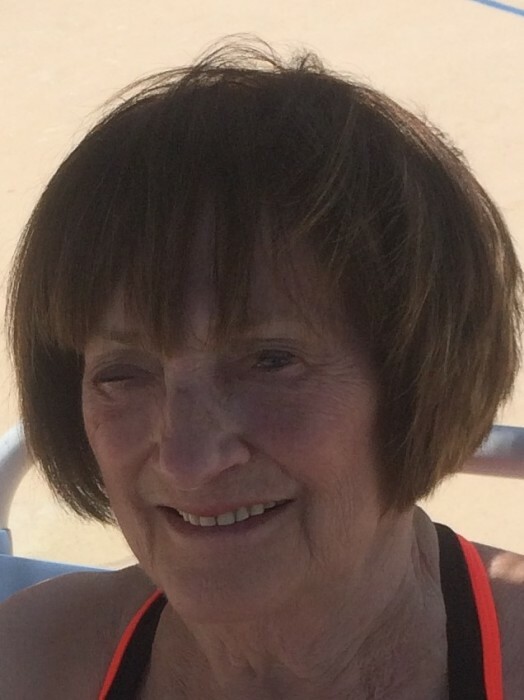 Relatives and friends are invited to visit at the funeral home on Wednesday from 4 to 8 p.m.
Born in Motherwell, Scotland, Frances immigrated to Kearny in 1964 where she lived before moving to New Providence two years ago. She was a cleaning lady for New Jersey Bell in Newark, NJ for 20 years before retiring 23 years ago. Mrs. McQueenie is survived by her daughters, Frances Hice and her husband Robert and Maryann Poplaski and her husband, Steve; one brother, Joseph Laikowski; five sisters, Isabell Tennant, Margaret McNeil, Josephine Higgins, Grace Collins and Mary Cassidy. She was the grandmother of Kelly Ann Ferry and her husband, Chris, Robert Hice, Jr. and his wife, Nicole and Kimberly Poplaski and her boyfriend, Robert Procida. Frances was predeceased by her husband, Martin McQueenie and her sister, Cecilia McCauley. In lieu of flowers the family suggests contributions to the American Heart Association.